My name is Monika Holloway and I'm a self taught fantasy/surreal artist based in Southampton, UK. Im lucky to live on the edge of New Forest National Park, home to wild ponies and incredibly beautiful wildlife. I work mainly with watercolours and coloured pencils but I really enjoy exploring new mediums - I recently started incorporating oils into my work. Learning new things is very important to me, it motivates me to try harder, to always push myself one step further. I love creating whimsical fantasy worlds and filling them with creatures who inhibit these places - fairies, unicorns, mermaids and elves. 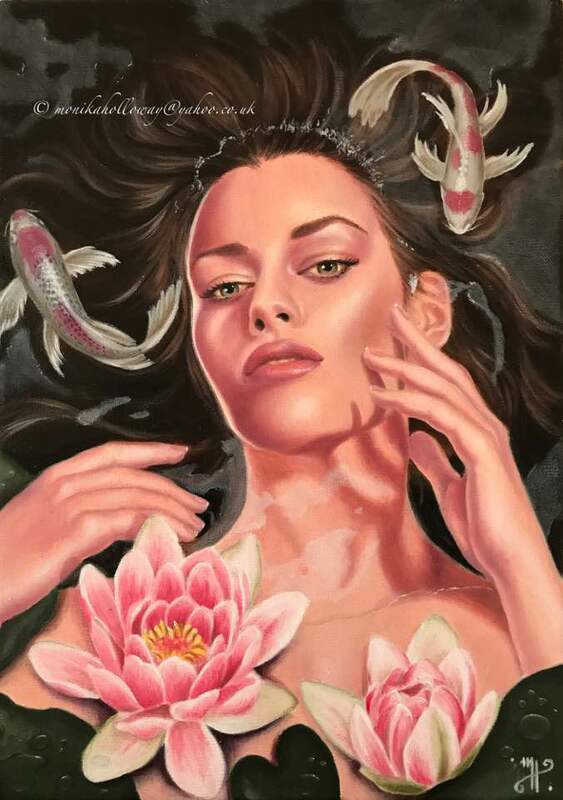 I also enjoy painting fantasy/surreal feminine portraits. My art is about mystery, about the unknown and the undiscovered, about things we dream about but are unable to remember once we wake up. All images © copyright Monika Holloway. Unauthorized use or reproduction of images is strictly prohibited without the written consent of the artist.